Today there are two main stories; one blew upon over the weekend, we found out Obama’s FBI had placed an FBI mole in the Trump campaign to pass on information to Democratic operatives. The other news is finally a long-held promise by the US is being fulfilled, we are moving our embassy to Jerusalem today! Last Friday we found out that the Steele-dossier author told Fusion GPS’s Glenn Simpson about a ‘human source’ by the FBI planted in the Trump campaign, essential reporting on the controversy has been done by the Wall Street Journal’s Kim Strassel (see here and here). This was shown after we found the FBI and justice department once against were stonewalling the Congress, and the Congress refused to let this go. The Justice Department first tried to cover up all this information in the name of national security, that was not going to work, what we essentially had was more CYA being performed by this now out of control agency. Simpson declined to answer more questions about this unidentified “human source.” But when the media treated his revelation as a bombshell, he realized it would cause a feeding frenzy: Congress, the media, and the public would demand to know what would cause the FBI, in the stretch run of a presidential race, to use an informant against one candidate’s campaign. This begs the question, how can a police organization in charge of our national policing force be able to remain in any way politically neutral if they are sending operatives to campaigns while under a President who is part of the opposition party, the who thing stinks of corruption. The whole thing stinks of coverup, once more we see Obama’s administration politicizing our intelligence and policing organizations for political gain, something that puts our whole republic at risk, but this still seems to be fine with the left, they are so intent on their hatred of Trump and determination to remove him that they will violate constitutional law, destroy any trust the public has in them (there is not much of this left0, and possibly sacrifice the political structure of this nation to achieve their goals. This is what a Special Counsel needs to be looking into, not some fake collusion story, yet Mueller ignores all evidence from the left that is slapping him in the face and continue his frantic quest to overturn rocks hoping upon hope that he will find some type of ammunition to be used against our president. Make no mistake, as I wrote before, this is a Coup D’etat; maybe it is time we start looking at this as exactly as what it is. In a move that has been awaited since the Jerusalem Embassy Act was put in place by Congress during the Clinton administration, each administration has promised while on the campaign trail they would honor the act and move the American Embassy to Jerusalem, then upon taking office caved in to pressure from the Muslim world and went back on their promise. What has changed this time is not only was the promise kept, it was given. There was the usual pressure, outrage and demands from the Muslim world, our allies in Europe screamed what a terrible idea it was, but Trump in a true act of courage refused to bow to their pressure, to the pressure from the UN trying to force our hand, and moved the embassy regardless of the pressure both externally and internally from the left. 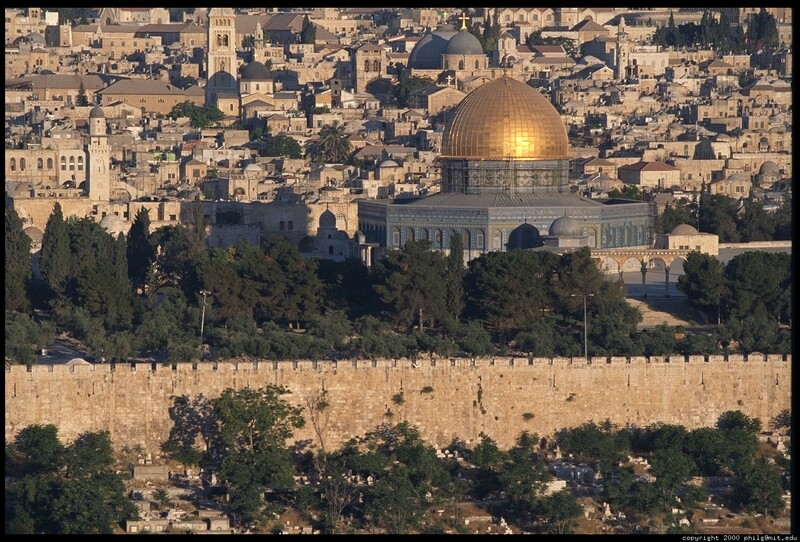 Then in 1968, they changed their charter saying they now had a claim to the holy sites and east side of Jerusalem, so what changed, did they find an artifact that gave rise to their claim, did Islamic writings clear the way to this change of heart? Turns out nothing like this, rather it was who was in control of the land, in other words, their historical change of heart had nothing to do with history, rather it had everything to do with who was in control, that is not how historical claims work. In the end the claim to the city has nothing to do with faith, the whole claim to the holy site on the mount has nothing to do with the so-called furthest mosque, it is impossible that it would be in Jerusalem, this only is done to prevent the Jews access to their most holy site, something you see played out time after time as the Arabs riot because the Jews dare not to give in to their blackmail. You can get more detail into this as the historical claim is blown wide open and the falsity of the claim is laid open for all to see, something the Muslim world does not wish to be seen because it exposes their lies in The Palestinian Claim to Jerusalem. President Trump is doing the right thing, for once we have a president that will not bow to anti-Semitic attacks and outright hatred, will stand with our friends in Israel and tell the rest of the world where they can go if they don’t like it. Justice Department And FBI Out Of Control! Trump’s Attorney Raided, More Overreach By The Special Counsel.